The height adjustable Kidney Table has been designed to allow users to comfortable rest their arms whilst still providing a large usable work surface. It can be used over an armchair or wheelchair and is equipped with lockable castors making it easy to move. The attractive beech effect top features a curved retaining strip to prevent items falling. 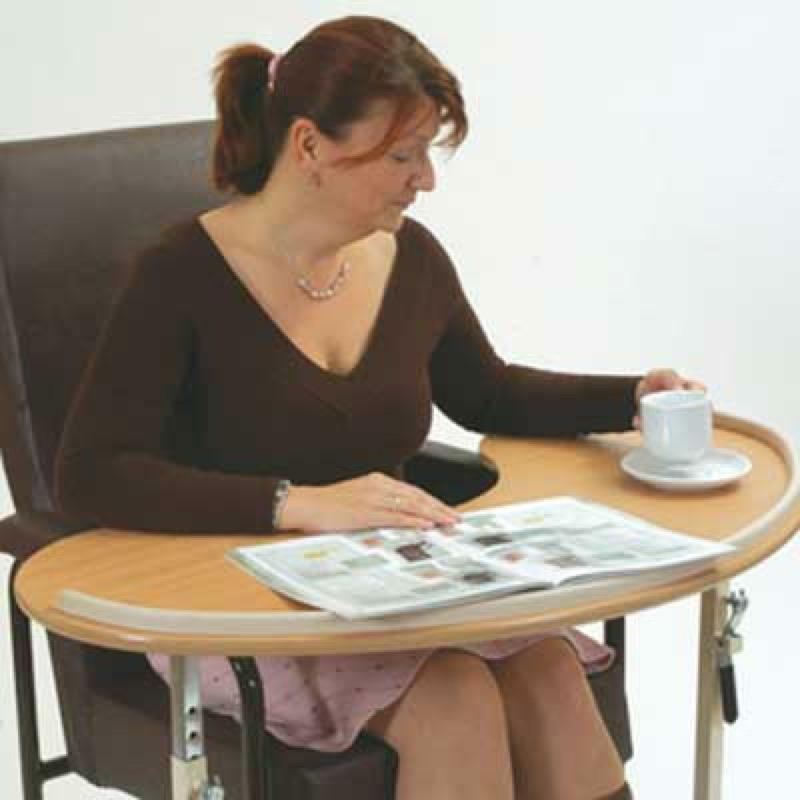 The table can easily be raised or lowered using the ergonomiclly designed height adjustment levers. The strong frame is constructed from powder coated steel.